Do you ever experience eye discomfort while at work? Poor lighting, vision or posture can be the culprit of dry, burning or irritated eyes, blurred vision, eyestrain and headaches. Dim the overhead fluorescent lighting. Fluorescent or unnatural lighting can cause stress to your eyes. Whenever possible, choose natural lighting over fluorescent lighting. Keep blinds as an option on the windows. Angle your monitor away from the window to avoid glare. Get a spotlight lamp or shaded lamp. A light source shouldn’t point directly into your eyes, but rather illuminate your desk and keyboard. Make sure your lamp isn’t causing a glare on your computer screen. This will force your eyes to work harder. Turn down computer screen brightness. 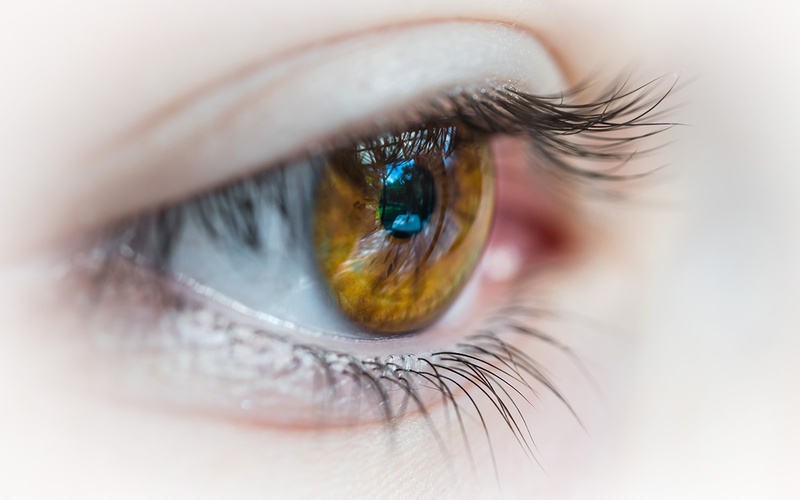 Staring at a screen for long periods of time can cause eye discomfort. Try turning the brightness down to 50 percent or lower. Having proper posture can help you avoid strain to your eyes, neck and back. Adjust your computer screen angle to avoid slouching in your chair. Don’t sit closer. Zoom in. When you sit too close to the computer screen, your shoulders may hunch over and your eyes may have to work harder to focus. Zoom in on text that is hard to read, or change your display settings to show larger font. Every few minutes, look away from your computer screen and focus on your surroundings. Look at far away objects. When your eyes aren’t moisturized by natural tears, you may experience a dry, itchy or burning sensation. If your eyes aren’t producing enough natural tears, talk to your eye doctor about eye drops. Is it possible that your eye discomfort is stemming from a problem with your vision? It’s best to get your eyes checked every year as eyesight may change over time. Poor vision can cause, headaches, blurred vision and trouble focusing. Consistent eye discomfort is not something to ignore while at work. Try these tips, and if necessary, speak with your eye doctor about possible solutions. You can use your HSA or FSA dollars toward Rx glasses, reading glasses, contact lenses, eye glass and lens accessories, and eye drops. Aliat has partnered with EyeMed to bring quality vision care to your company. Learn more about our benefit solutions.